A few years ago, someone dumped some unwanted goldfish (poor fish) into Teller Lake in Boulder, Colorado. Well, the fish, doing what fish do (in apparent rabbit-like fashion), multiplied. A lot. There are now so many fish in the lake that they have to be collected in order to maintain the “integrity” of the lake. The options? Drain the lake and start over. Or collect the fish with a special boat. The dumping of pet or other fish into any Colorado waterway is illegal and can result in detrimental environmental effects. 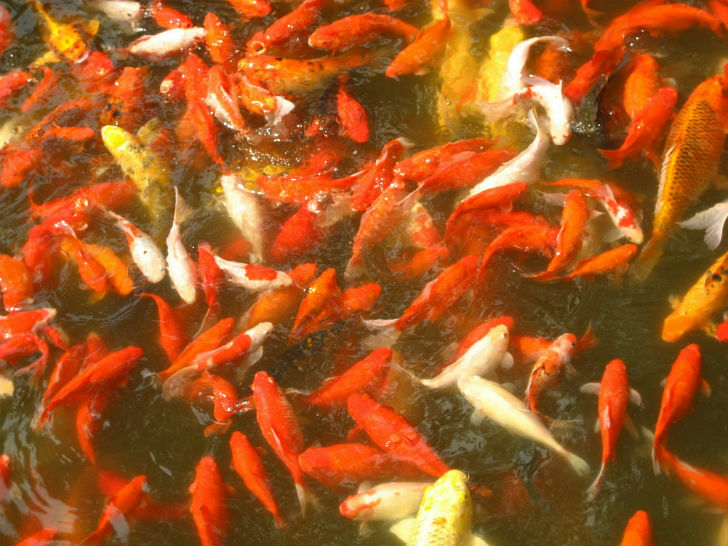 Goldfish are taking over a Colorado lake.